As Director of Security Programs (OSP) for the Architect of the Capitol, keeping the U.S. Capitol campus safe is job one. And it is also a team effort – one that could not happen without the dedication and professionalism of the United States Capitol Police (USCP). This week, during the observation of Police Week and the Peace Officers Memorial Day, we celebrate the men and women of the USCP who put their lives on the line to protect America's beacon of democracy. My team and I work with the USCP on a daily basis and we appreciate the work that they do. The security of the entire Capitol complex is strengthened through our collaborative approach with partners across the campus. Bollards, featuring the seal of the U.S. Congress, used for security and traffic-control. The Architect of the Capitol, through OSP, is the steward of Capitol Police facilities and much of the physical security infrastructure. 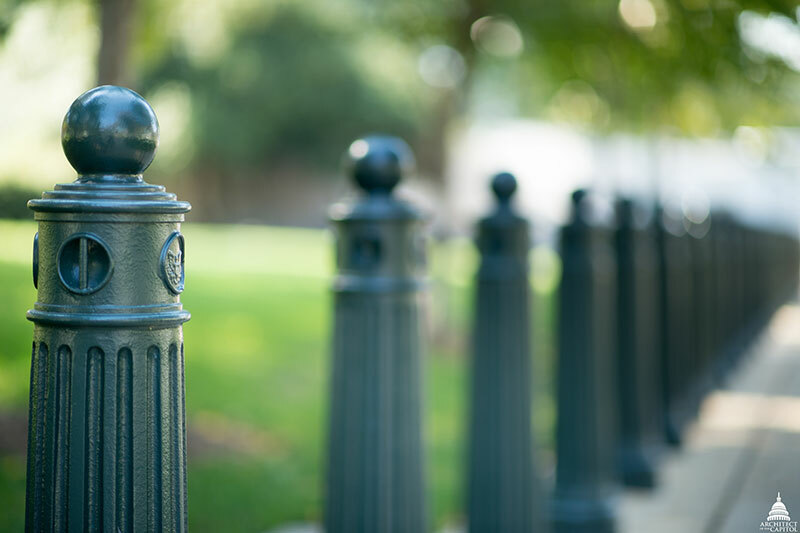 From office buildings and training facilities to bollards, barriers and kiosks, members of OSP ensure that USCP has the physical resources they need. The variety of knowledge and skills that are pooled through our collaboration with USCP, creates a vast, more competent, able and experienced team. We are able to look at the bigger picture, increase efficiency and speed solutions to challenges or anticipated challenges across the campus. 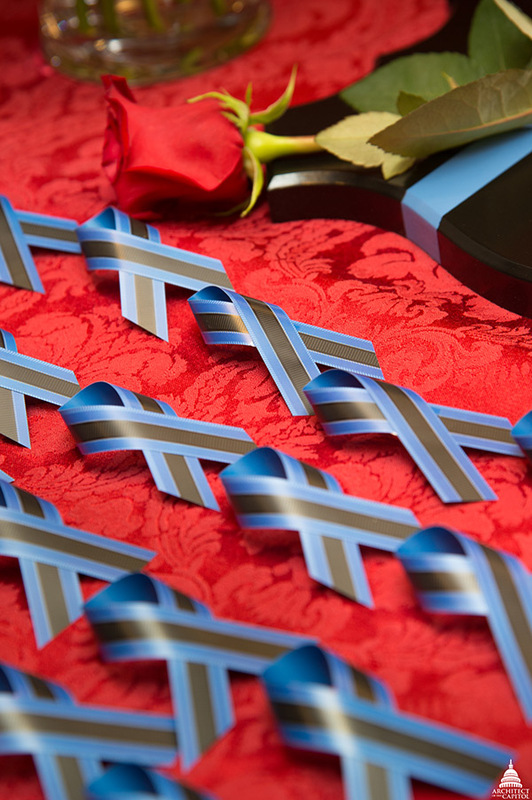 Ribbons displayed at the Annual National Peace Officers Memorial Service. A Joint Resolution of the 87th Congress initiated the designation of May 15 each year as Peace Officers Memorial Day and the calendar week in which it falls as Police Week. These events recognize the patriotic service that law enforcement officers have given to safeguard the lives and property of fellow Americans, and to pay tribute to those officers who have been killed or disabled in the line of duty. Over the last 56 years, the week of remembrance has evolved and grown to approximately 30,000 attendees. Throughout the year, and especially during Police Week, the AOC is honored to be in partnership with USCP in support of the United States Congress.